A book is a physical object, yet it also signifies something abstract, the words and the meanings living within it. At one level a book takes on the imprint of its author and its readers. Books contain the presence of many readers. Yet, more than other objects, a book is felt to embody not only a physical memory but also a record of past thoughts. 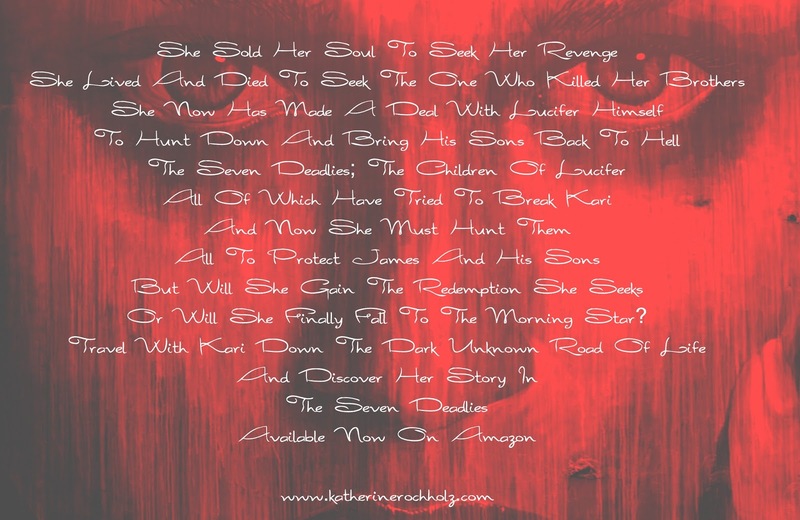 The book contains both its reader and its author. Milton’s stated books ‘contain a potency of life in them’. The book achieves a further mystery, of transforming what appears to be purely immaterial and conceptual into something with a concrete form. It is therefore not entirely extravagant for Milton to claim that a book possesses ‘a life beyond life’. Destroying a book, then, Milton says, is like an act of homicide—indeed it is worse than that, since a book encloses the life of more than one person and exists in more than one time. Paradoxically, regardless of the material survival of a physical copy or artifact, a book is something immortal and imperishable. 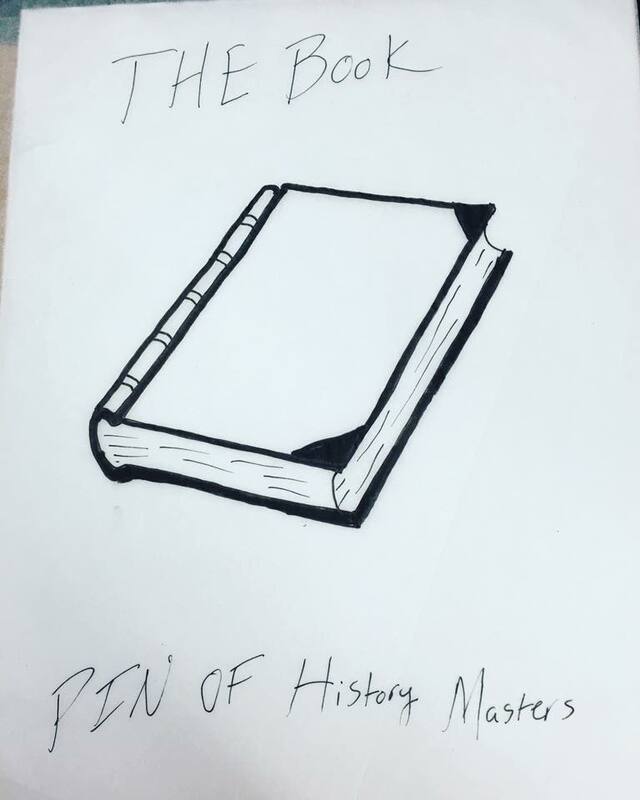 Because of this History Masters choose to use the Book, a simple but complex symbol, for their pin. The Pythagorean “Y” shows the two paths in which man is led through life. The right hand track to sacred Virtue tends, Though steep and rough at first, in rest it ends; The other broad and smooth, but from its Crown On rocks the Traveler is tumbled down. He who to Virtue by harsh toils aspires, Subduing pains, worth and renown acquires; But who seeks slothful luxury, and flies, The labor of great acts, dishonored dies.” The above words are attributed to Virgil, but this may be incorrect. The straight portion at the bottom signifies the first, uncertain age, which at that point has been given over to neither vices nor virtues. The bifurcation at the top, however, begins at adolescence. The path to the right is difficult, but it tends toward a blessed life. The path to the left is easier, but it leads to ruin and destruction. As it is shown in Mythology the easiest path is not always the wisest. 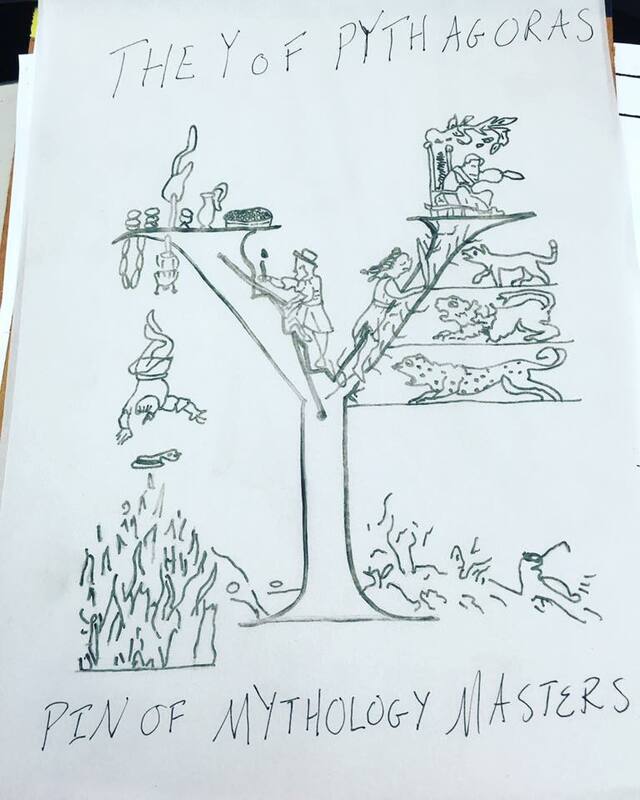 Thus Mythology Masters chose the Y to represent humanity and Mythology. Electrokinesis is the main study of Spirit Elementals. The Masters of this Element choose the Axe as their Pin. The reasons behind this strange symbol for Electrokinesis stems from folklore, where stone axes were believed to be thunderbolts and were used to guard buildings against lightning as it was believed that lightning never struck the same place twice. In Youba Mythology an Oshe (double bladed axe) was used to represent Shango, Orisha who was their god of thunder and lighting. Steel axes were important in superstitions as well. A thrown axe could keep off a hail storm. Sometimes an axe was placed in the crops, with the cutting edge to the skies to protect the harvest against bad weather. 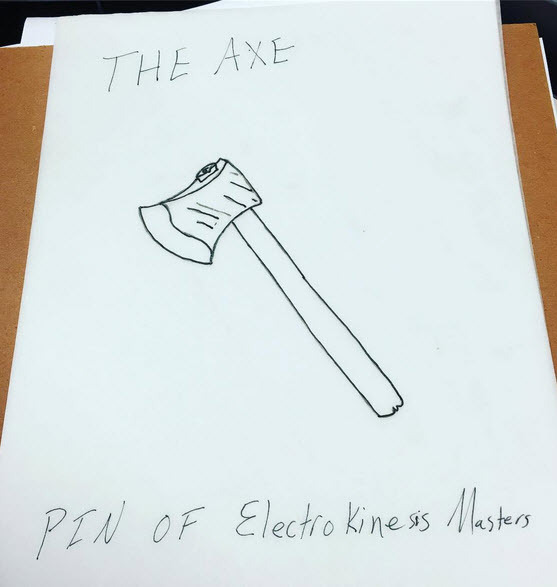 Due to these beliefs and they wanted something with a deeper meaning they chose the Axe as their pin.